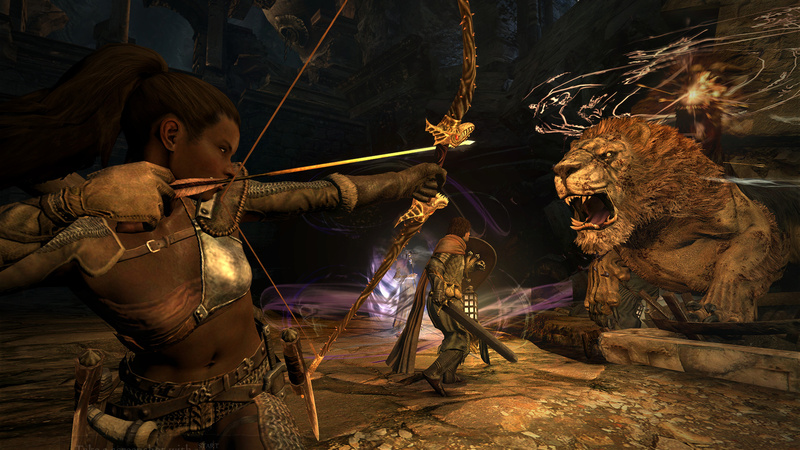 Capcom's one-of-a-kind monster-climbing, spell-slinging action-RPG Dragon's Dogma never left our hearts, and with each new re-release, I have to wonder when a proper sequel will finally land. Did he make the right call? Just in terms of timing, I think so, yeah. I would absolutely dig into a potential Dragon's Dogma sequel now or whenever, but having a new Devil May Cry right after the Resident Evil 2 remake is such a killer one-two punch. It's only February and 2019 is already a hell of a year for Capcom. For Itsuno's part, he tells VG247 that he has "had ideas for Dragon's Dogma 2." The director feels that the original game was "kind of the biggest success in my mind, the one I'm most proud of" whereas Devil May Cry 5 has been "the hardest to work on," the one "that took the most effort." "I've always got maybe around four different titles in mind, maybe about four different ideas that I'd love to make. But there's a difference between the titles that I'd love to make and the titles that I think I should make next. But here we are, we're here, and... I'm already gearing up for my next project." I'd love to see Capcom's current hot streak continue with Dragon's Dogma 2 in the not-too-distant future. A new game in the series post-Monster Hunter: World is a wildly exciting prospect.